Brischoux, François, Cédric Cotté, Harvey B. Lillywhite, Frédéric Bailleul, Maxime Lalire, and Philippe Gaspar. 2016. “Oceanic Circulation Models Help to Predict Global Biogeography of Pelagic Yellow- Bellied Sea Snake.” Biology Letters 12: 6–9. Goiran, Claire, Paco Bustamante, and Richard Shine. 2017. “Industrial Melanism in the Seasnake Emydocephalus Annulatus.” Current Biology. 1–4. Bessesen, Brooke L., and Gary J. Galbreath. 2017. “A New Subspecies of Sea Snake, Hydrophis Platurus Xanthos, from Golfo Dulce, Costa Rica.” ZooKeys 686: 109–23. Bonnet, Xavier, Marine J. Briand, François Brischoux, Yves Letourneur, Thomas Fauvel, and Paco Bustamante. 2014. “Anguilliform Fish Reveal Large Scale Contamination by Mine Trace Elements in the Coral Reefs of New Caledonia.” Science of the Total Environment 470–471. Elsevier B.V.: 876–82. Chatelain, M., J. Gasparini, L. Jacquin, and A. Frantz. 2014. “The Adaptive Function of Melanin-Based Plumage Coloration to Trace Metals.” Biology Letters 10 (3): 20140164. Cook, Timothée R., Xavier Bonnet, T. Fauvel, Richard Shine, and François Brischoux. 2016. "Foraging behaviour and energy budgets of sea snakes: insights from implanted data loggers." Journal of Zoology 298(2): 82-93. Lillywhite, Harvey B., Coleman M. Sheehy Iii, François Brischoux, and Joseph B. Pfaller. 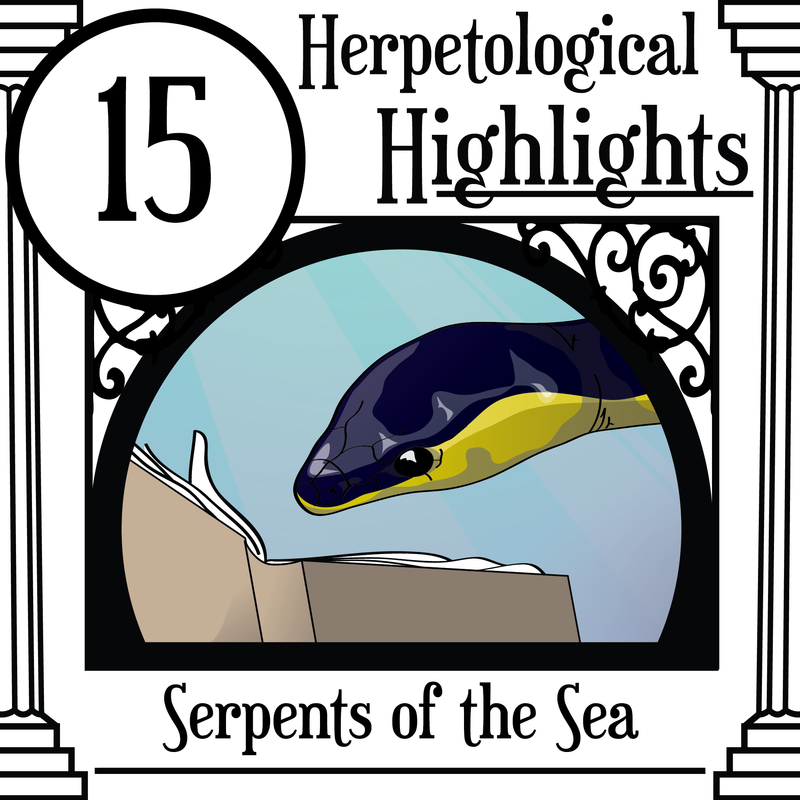 2015 "On the abundance of a pelagic sea snake." Journal of Herpetology 49(2): 184-189. Pickwell, George V. 1971. "Knotting and coiling behavior in the pelagic sea snake Pelamis platurus (L.)." Copeia 1971(2): 348-350. Reading, C. J., L. M. Luiselli, G. C. Akani, X. Bonnet, G. Amori, J. M. Ballouard, E. Filippi, G. Naulleau, D. Pearson, and L. Rugiero. 2010. “Are Snake Populations in Widespread Decline?” Biology Letters 6: 777–80. Sanders, Kate L., Michael SY Lee, Terry Bertozzi, and Arne R. Rasmussen. 2013. "Multilocus phylogeny and recent rapid radiation of the viviparous sea snakes (Elapidae: Hydrophiinae)." Molecular phylogenetics and evolution 66(3): 575-591. Shine, R., R. Reed, S. Shetty, and H. Cogger. 2002. "Relationships between sexual dimorphism and niche partitioning within a clade of sea-snakes (Laticaudinae)." Oecologia 133(1): 45-53. Shine, Richard, Terri Shine, James M. Shine, and Benjamin G. Shine. 2005. “Synchrony in Capture Dates Suggests Cryptic Social Organization in Sea Snakes (Emydocephalus Annulatus, Hydrophiidae).” Austral Ecology 30 (7): 805–11.